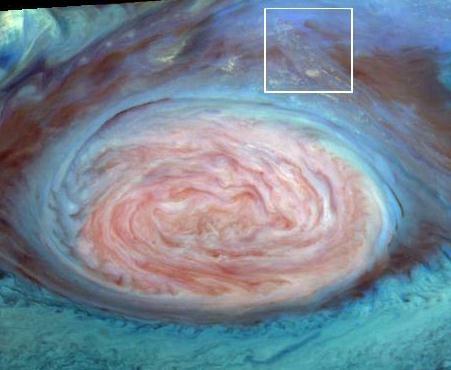 Explanation: Storm clouds, similar to the familiar cumulonimbus thunderheads of Earth, appear to be present on Jupiter. The mosaic of images above shows the region near the raging edge of Jupiter's Great Red Spot, itself some 2 to 3 Earths wide, as observed by the Galileo spacecraft in June of this year. The false colors represent altitude. Low altitude clouds are blue, high, thick clouds are white and high, thin clouds are pink, with the box at the upper right containing the high cloud features likened to the storm clouds of Earth. 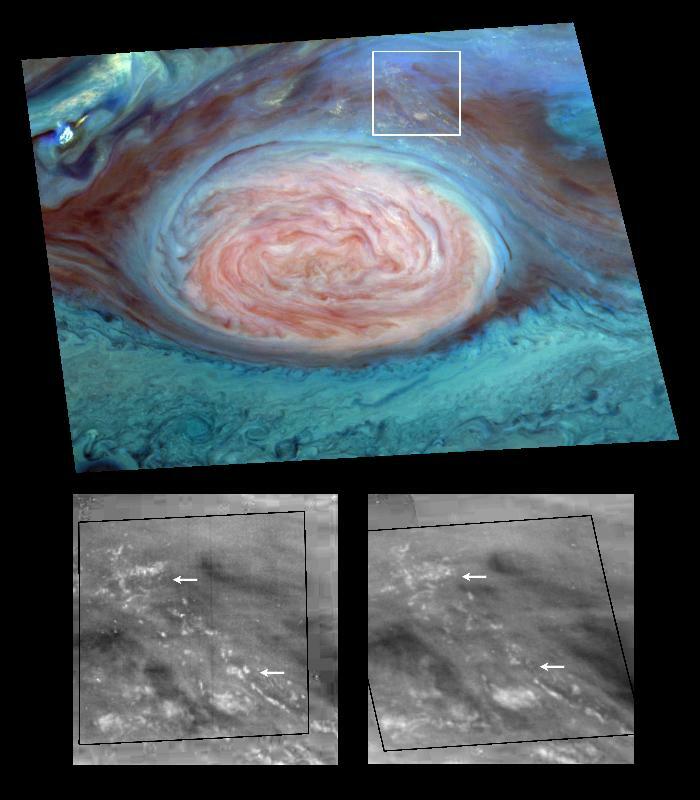 Scientists speculate that these features are evidence for an abundance of water in at least some regions of Jupiter's atmosphere. On Earth, atmospheric water vapor plays an important role in driving winds - this could well be true on Jupiter, where winds reach up to 300 miles per hour.